Exceptional pupils are identified as such by an Identification, Placement, and Review Committee (IPRC). Upon receiving a written request from a student's parent(s)/guardian(s), the principal of the school must refer the student to an IPRC. The IPRC will decide whether the student is an exceptional pupil and, if so, what type of educational placement is appropriate. The Northeastern Catholic District School Board entered into a partnership with the Provincial Schools Branch of the Ministry of Education to increase teacher capacity and student individual learning skills. Over the last three years, the Provincial Schools has enabled us to sustain the assistive technology component of our intervention model through training and direct capital investments in technology including computers, software, and equipment. This successful partnership led to a replication of the provincial schools' model for students with severe learning disabilities in Northern Ontario, a historic first for education in the province. Special Assignment Resource Teachers receive specialized training in the use of assistive technology, assessment strategies, and in meeting the needs of students with Autism Spectrum Disorder. 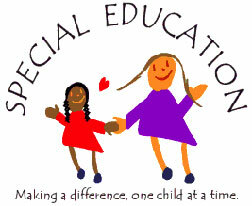 Their focus is to help better meet the needs of our students requiring services of the Special Education Department. Our mission at the Northeastern Catholic District School Board is to ensure an attitude of welcomed acceptance and that a celebration of individual differences is encouraged and supported among pupils, parents and staff in our Catholic schools. All teachers are special educators. Our Catholic schools educate the whole child and the uniqueness of every child is celebrated. The heart, mind, body and soul of our exceptional students need to be nurtured. Early identification and intervention is the key to academic success. Facilitating growth is a continuous process for all students receiving special education programs and services. It is our responsibility as Catholic Educators and parents to provide the opportunity for our special education students to share the school experience their brothers, sisters and friends enjoy. Therefore, integration is considered first when in the best interest of the child.